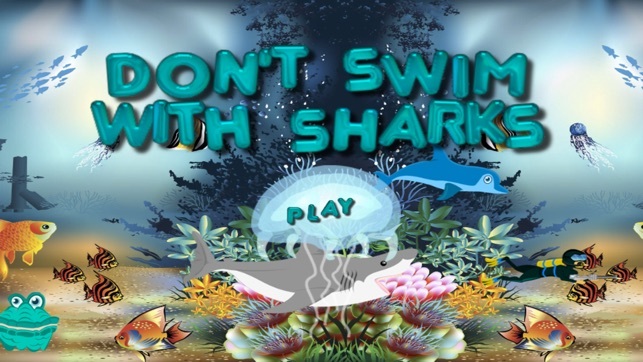 Don't Swim With Sharks is a free endless runner app with beautiful underwater graphics. There are 4 modes of play: EASY, NORMAL, HARD and CRAZY. -- Press any where on the LEFT side of the screen to go DOWN. -- Press any where on the RIGHT side of the screen to go UP. 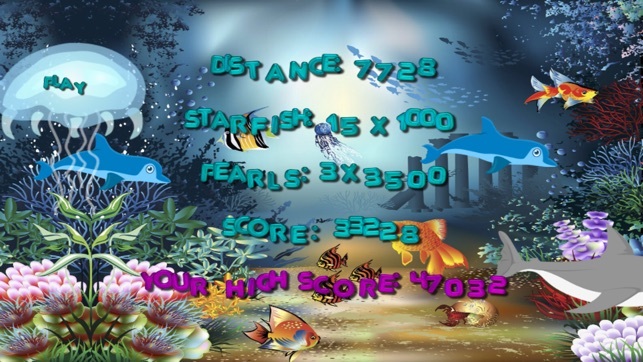 -- Collect STARFISH for a bonus of 1000 points each. 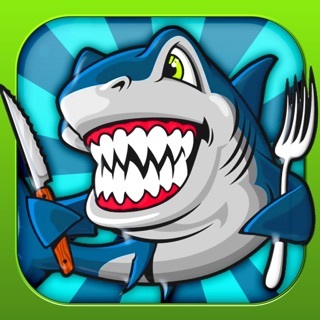 -- Collect PEARLS for a bonus of 3500 points each. 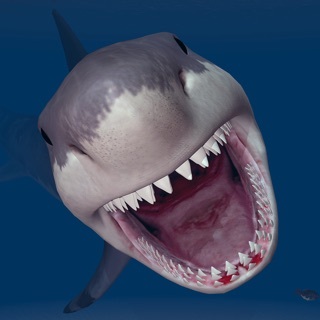 -- Stay away from the SHARKS mouthes. If you get to close they will bite and the game will be over. Watch out for playful DOLPHINS. They will come up behind you and bump you which will cause you to suddenly shoot up. 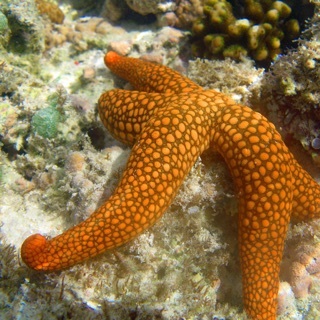 Watch for schools of STARFISH as they swim by and collect them. There are CLAMS on the ocean floor. Some are empty but others have PEARLS in them. Collect the PEARLS for a large bonus. 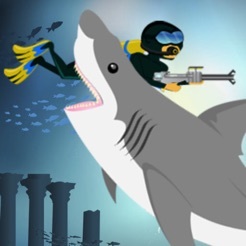 Beware the SHARKS will get faster the longer you are able to survive. More features coming soon. Let us know what features you would like to see, by writing a review for this app. There are now 4 modes of play: EASY, NORMAL, HARD and CRAZY. All modes unlocked. Play which ever mode you like. 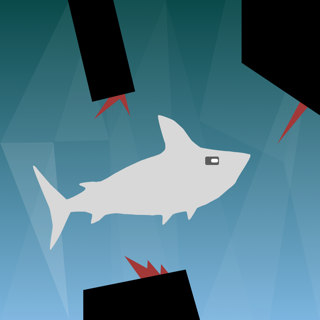 Simple game, simple controls, simply fun! I like the new modes! 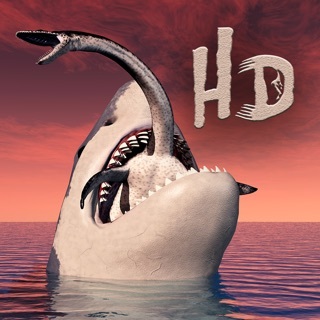 Highly recommend this app to anyone looking for a new game! After a few tries, I really liked this game. 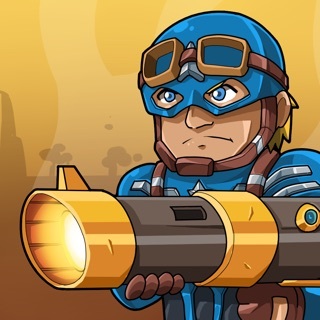 Really fun endless runner. 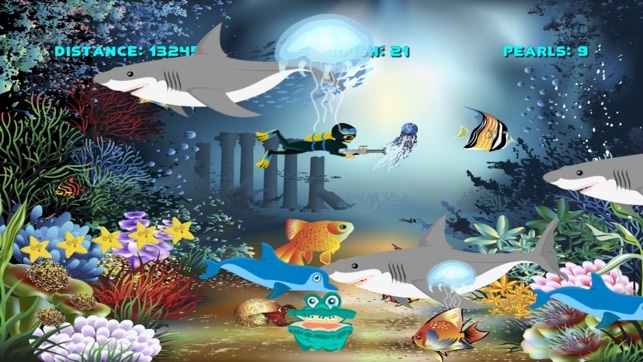 I love the underwater theme, and the gameplay itself is really addicting. Nicely done!